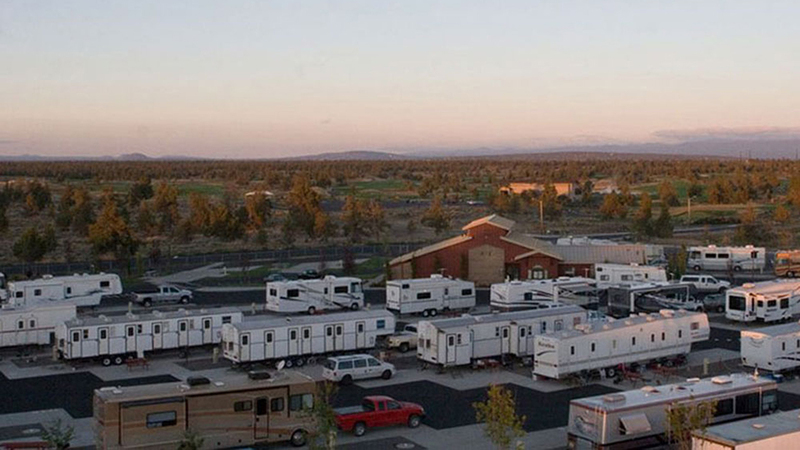 A year-round family-friendly RV park with full hook-ups, the Deschutes Country Expo RV Park is located by the Deschutes County Fairgrounds and Expo Center in Redmond. They have 105 sites in total as well as 10 tent sites with electric and a shared water source. Quiet, well-mannered pets are welcome, and they get a large field area just for them for playing and exercise. They need to be on a leash and under the owner’s control at all times. The park has pull-through sites, big rig access, tent camping, plumbed restrooms with showers, laundry facilities, picnic tables, and BBQs. Open fires are strictly prohibited and only charcoal may be used in grills. Hook-ups include 50/30/20 AMP electric, water, sewer and free wi-fi. Reviewers give it high marks for cleanliness and, as you can imagine with its location, you’ve got front row parking for the wide range of events that take place on the Deschutes County Expo Center’s full events calendar.